Epic Boss: Games Business is "Shockingly Immature"
Mike Capps has highlighted that while gaming startups tend to be "entrepreneurship gone right," being part of a relatively new industry can have practical drawbacks. It goes without saying that gaming, as a medium and an industry, is fairly new compared to other entertainment and art media. As with any industry, there are growing pains for both the groups involved and the culture at large to deal with as the medium and industry expands. 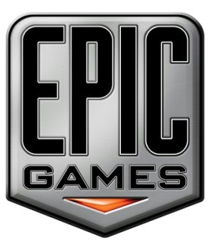 According to Mike Capps, president of Gears of War studio Epic Games, one such problem area is the practice of maintaining a solvent business while building games. In an interview with GamesIndustry, Capps expanded on what it's like to run a business in gaming. "Our games industry is shockingly immature from a business perspective, because so few folks have business experience before coming in, or an education for business," he said. "It's awesome because it's entrepreneurship gone right, that's what our industry comes from, and that's really exciting, but there's not a lot of sharing, there's not a lot of great game business 'how to' books." "We try to share and people listen to us, for some reason, and we try to learn as much as we can from everybody else and their mistakes," he added. Capps also spoke about Epic's new IP, due for a reveal of sorts at this weekend's Spike Video Game Awards this weekend. "It's something radically different for us," he said, adding that he's feeling a little "nervous" over how fans will recieve the game. "New IP, new game...We love Gears, it was a great trilogy, we've gotten a lot of great compliments and a lot of great fans," Capps continued. "We're still supporting Gears 3 very strongly, but I've got guys that have been on it since 2001, and some of them need a break and to try something new." Hopefully the design and game business literature available to new developers and publishers will expand as the industry does, giving new artists the kind of varied resources and information available to budding filmmakers and musicians. As for the new IP, Capps has said before that he "bets [the] entire company" every time he launches a new game, so a few nerves are to be expected. How "different" it will be is anyone's guess.